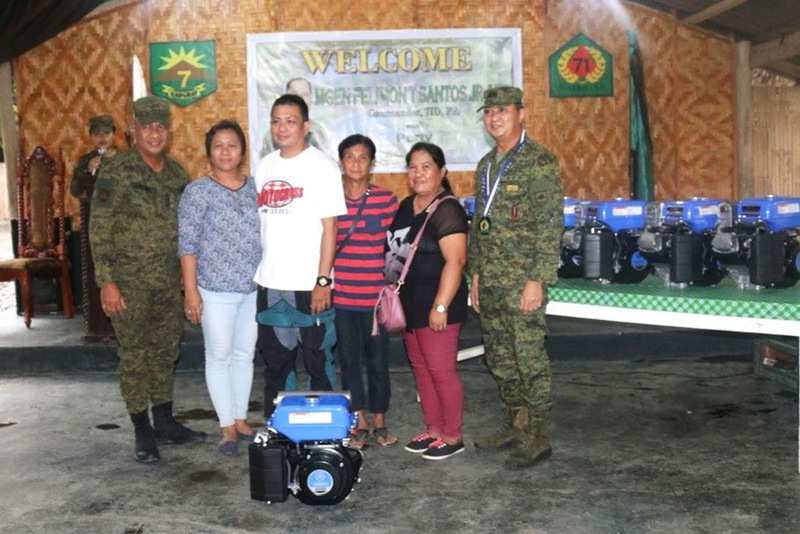 MAWAB, CVP – At least eight engine machines were distributed to the Organized Famers Association of the municipalities of Maco and Mawab last September 21, 2018, here from the 71st Infantry Battalion, Philippine Army, in partnership with ABS-CBN Lingkod Kapamilya Foundation Incorporated. 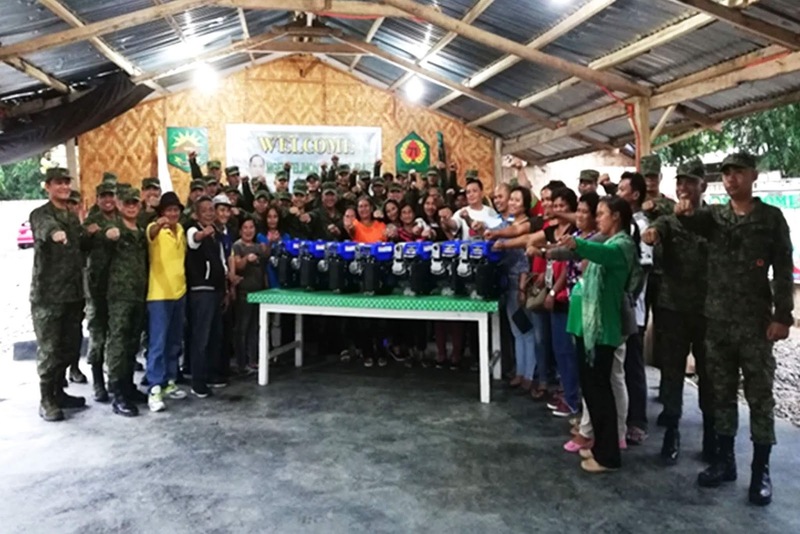 The machines are expected to be used by the farmers in their livelihood projects such as cacao production, upland rice farming, livestock, and tilapia production. 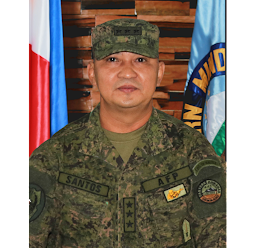 The turn-over Ceremony was led by Major General Felimon Santos, Jr., the Commander of the 7th Infantry Division, Philippine Army whom that time was conducting his visit to Headquarters 71IB as one of the Mindanao-based Units under his command. The engine machines were received by the officers of the associations which were organized by the 71IB under its Community Support Program (CSP) namely: Brgy Elizalde Rural Workers Association (BERWA); Sitio Estabillo Andili Rural Association of Farmers (SERAF); Sangab Energetic Farmer Association (SEFA); Brgy Gubatan Livelihood for Peace Association (BGLPA); Balik Loob Integrated Farmers Association (BIFA); Mawab Rural Workers Association (MARWA); Panibasan Eagles Rural Association (PERA); and Malamodao Enthusiastic Food Processors Association (MEFPA), with a total of 600 members. Meanwhile, Lieutenant Colonel Esteveyn Ducusin, the Commanding Officer of 71IB, vibrantly extended his gratefulness to the ABS-CBN Lingkod Kapamilya Foundation Incorporated for its unending support considering the significance of the engine machines as an answer to the major predicaments of the farmers that are mostly composed of Former Rebels (FRs). 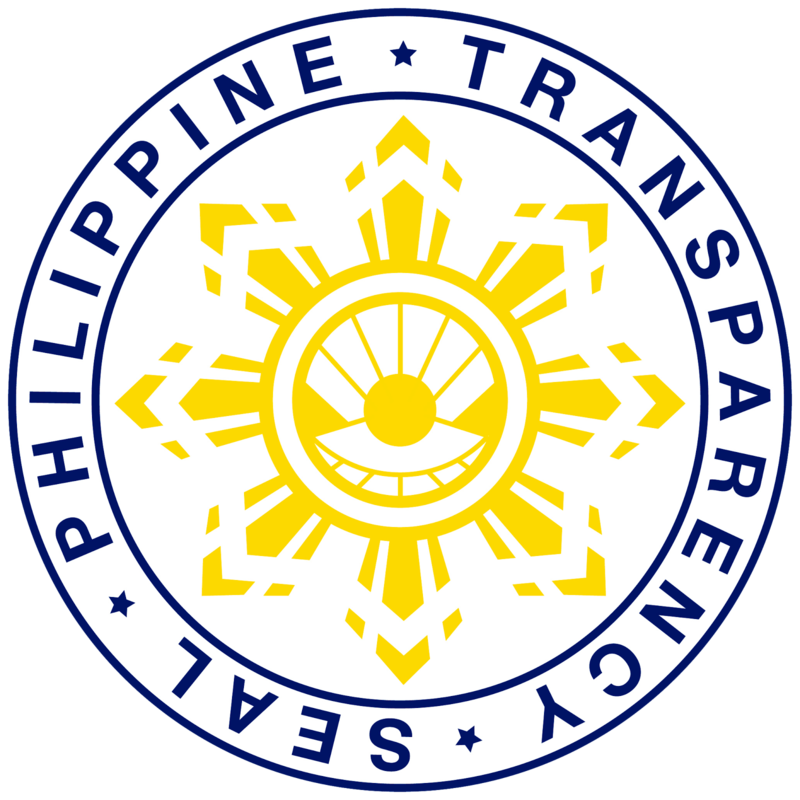 “Ang pagbuhos ng iba’t-ibang programa ay resulta ng pagkakaroon ng kapayapaan dahil sa patuloy na pagbalik loob sa pamahalaan ng mga myembro ng NPA at taga suporta, good governance at pagkakaisa ng mga mamamayan,” Ducusin said. 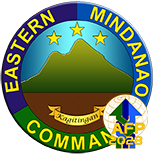 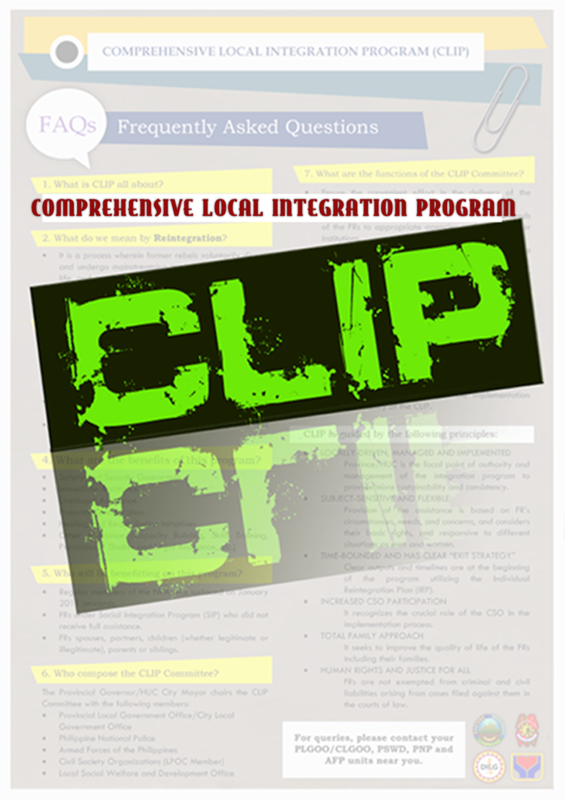 The ABS-CBN Lingkod Kapamilya Foundation has been one of the major partners of the 71IB in creating programs targeting the academic institutions, FRs, and families from geographically disadvantaged areas under its Area of Operations.